There are not enough women entering into Science, Technology, Engineering or Mathematics (STEM) fields. In 2014 just 17% of entrants to third level courses in ICT were female, a figure that has been consistent since 2004. Similarly only 24% of Engineering entrants are female. The situation is even more alarming in Maths, with just 22% of female entrants in 2014 compared to 35% in 2004. I WISH aims to change the status quo with an ambition to increase female entrants to third level courses in STEM to 30% by 2020. The gender imbalance in STEM careers is increasing and the lack of visible female role models and mentors is often cited as a key barrier for women. This was articulated best by student Emma from Bandon at the I WISH 2015 event “when we look up, it is usually men we see”. Girls cannot aspire to be what they cannot see. Now in its second year, the I WISH event is back to provide introductions to a number of engaging female STEM role models, and to inspire a new generation of girls to become shining STEM stars. This year I WISH will take place over 2 days on 11 & 12 February 2016 in City Hall, Cork in order to meet the demand created by the 2015 event. I WISH is an award-winning partnership initiative between Cork Chamber, [email protected], and Cork City Council, supported by DFI, Dell, Cork County Council, UCC and CIT. The initiative was co-founded in 2014 by three Cork business women – Gillian Keating, Partner, Ronan Daly Jermyn Solicitors, Caroline O’Driscoll, Partner KPMG and vice chair [email protected] and Ruth Buckley, Head of ICT & Business Services at Cork City Council. The 2015 I WISH event was hugely successful, and was recognised by students, parents, guardians and teachers as important influencers for young female students. “Now more than ever a career in STEM has the potential to open more doors to young women than ever before. Out of almost 118,000 people working in STEM in Ireland only a quarter are women. 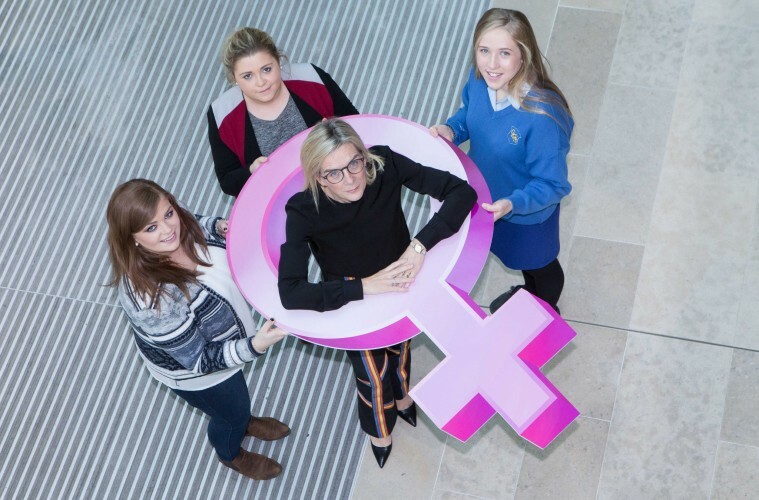 I WISH seeks to educate and excite the next generation of girls about the opportunities available to them by getting them to meet and interact with women in STEM disciplines that the girls may not even know exist, and in doing so lay of world of choices at their fingertips,” said Gillian Keating, Partner, Ronan Daly Jermyn Solicitors. “There has been much talk about the gender imbalance in STEM fields, and we are all aware that the number of women taking up STEM courses at University level is falling or at best static. We believe that we can tackle this problem by making successful, fulfilled women in STEM more visible and accessible to young women making career decisions,” she added. The 2 day I WISH event will cater for 2000 young women from schools across Cork, Kerry, Limerick and Waterford. The event includes talks, demonstrations and interactive hubs where students can meet and engage with inspiring women working in a variety of STEM roles. Students will also hear from female leaders in Dell, PepsiCo, Google, Vodafone, Twitter and young female entrepreneurs about tech and science careers for women, as well as young women with careers in traditionally male-dominated areas such as engineering and maths. A recent study by Forbes Magazine also showed that careers in science and engineering are among some of the best-paying jobs for women. “A career in STEM is an exciting and valuable avenue for young women. STEM is changing the way we live, work and learn and through IWISH we want to ensure that next generation of girls make up a bigger part of the overall picture,” said Ruth Buckley, Head of IT at Cork City Council. “What we really want to get across to the young women attending the event is the variety of STEM career opportunities available to them, whether they choose to start their own business, work in industry or engage in life changing research – for example one of our speakers is a scientist at the INFANT Research Centre in UCC, who has helped develop an algorithm to detect when a baby’s brain is having a seizure, which is the first of its kind in the world. Another speaker, a technology journalist – has helped develop an online and offline community for women to make new friends, expand their social circle and grow their professional network. GirlCrew now has more than 20,000 members in groups across four continents,” said Caroline O’Driscoll, Partner KPMG and [email protected] Vice Chair. “When you look at the world of technology the possibilities for women are endless – from food to fashion, sport to social media. I WISH advocates three things – Choices, Chances and Changes. There is a world of choice available to young girls; there are exciting chances and opportunities across all STEM fields and I WISH is about changing the perception of what a career in STEM looks like,” she added. Plans are already quite progressed to rollout the I WISH initiative nationally, with Galway planning to host an I WISH event next year. According to research almost 60% of students recognise their parents as key influencers in subject choices, yet 68% of parents feel moderately, poorly or very poorly informed about STEM career opportunities. In recognition of the role that parents play, there will be a dedicated seminar for parents on Friday 12 February as part of the IWISH event.